Dr. Dionisis Patiris is a post-doctoral researcher of the Institute of Oceanography at Hellenic Centre for Marine Research participating in the research group of marine radioactivity since 2009. Dr Patiris earned his bachelor diploma in Physics in the Department of Physics, the University of Ioannina, Greece and also his doctoral degree in Environmental Radioactivity in the laboratory of Nuclear Physics in the same department. His thesis focused on the study of radon daughters’ behavior in atmospheric air. During this period he earned a fellowship for the post-graduate program “Postgraduate studies in Physics” from the Department of Physics, the University of Ioannina. 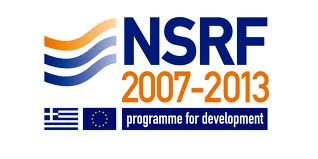 As a postdoctoral researcher he earned a scholarship from the Hellenic State Scholarship Foundation for postdoctoral research in the field of Oceanography / Soil and Water Resources Science (2010). He has participated in 7 research programs of HCMR and in several operational applications of the in-situ underwater gamma-ray spectrometer “KATERINA”. He participates in the HCMR’s Education Unit and Scientific Diving team. He has 20 publications in peer-reviewed international journals (according to Web of Knowledge upd Dec. 2015) with 136 citation and h-index: 7 and he has participated with oral presentations and posters in 9 international and more than 30 national conferences. 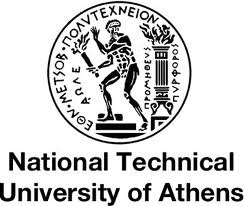 His teaching experience regards the following part-time positions: Lecturer in the Postgraduate Program of Hellenic Military Geographical Service (18months), teaching assistant in laboratory exercise of University of Ioannina (3 years). He has been invited lecturer in seminars organized by Georgian Geophysical Institute and by the postgraduate program in “Atmospheric Sciences and the Environment” of University of Ioannina.